Now you can help support the SSO whenever you shop online at Amazon.com. 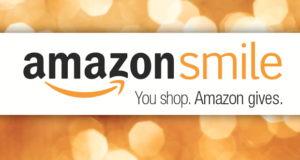 Through the AmazonSmile program Amazon will donate 0.5% of the price of your eligible purchases to the Symphony. Participating is very simple. All you have to do is to start your online shopping at “smile.amazon. com” any time you’d like to make an Amazon.com purchase. Everything else about your Amazon shopping experience stays the same – the shopping cart, wish lists, shipping options and prices. You shop, and Amazon donates 0.5% of your purchase to the Symphony.